I missed last week’s episode review. I pretty much have it completed, and if you would like to see it posted please let us know below in the comments or on Twitter @DuckTalks. There have been so many great moments from the new DuckTales series that it feels like every week we are hyped about something coming in the next episode. This past week was no exception. DuckTales creators teased the introduction of the Three Caballeros month’s ago at San Diego Comic Con, and we’ve been anticipating their debut ever since. The Three Caballeros were a group of animated fowl who premiered in the 1940s in two of Disney’s theatrically released animated pictures and some comics. Donald Duck is the most recognizable member. His friend José Carioca was a Brazilian parrot and Panchito Pistoles was a rooster from Mexico. The characters are also widely known for their attraction at Walt Disney World’s Mexican Pavilion in Epcot, the Gran Fiesta Tour. The episode begins outside of a Brazilian town, and let me tell you the visuals of this episode are gorgeous. Sean Jimenez and his crew did an amazing job on this episode. The location is exotic and beautiful. That opening scene with Donald leading the family through the jungle captivates me every time I watch the episode. We quickly learn that the family has traveled to Brazil to meet up with Donald’s college pals, and the kids learn for the first time that Donald was part of a band. I like how this show has decided to blend various elements of the Disney Duck’s history. We get some of the Barks’ comics, some of Rosa’s comics, some of the 87 DuckTales, and even some of the movies. It can sometimes be difficult to utilize so many different versions of the characters, but DT’s writers do a phenomenal job at it. There are essentially two stories taking place during this episode (this should feel familiar). One has Donald catching up with his old friends and lying to them about his success, and the other involves the kids learning that something sinister is going on in the town. Both stories come to a head, and it is up to Donald and his pals to save the day. It’s glorious! The episode looks great and it sounds great. The voice actors portraying José and Panchito are awesome. I love what DuckTales is accomplishing by using actors who represent the characters ethnicity. Bernardo de Paula brings a charm to the character of José that feels right. The character has sounded different in each interpretation I’ve heard, and I was very pleased with his depiction in this episode. José is very dapper and suave. Although it was fun to see his excitement over finally meeting the kids. This episode could not take place without a musical number. They were a band for crying out loud! The team did a great job of updating the Cab’s signature theme song. I have three versions of this song on my phone, and we listen to them constantly. When Panchito strummed that guitar, my girls ran to the floor prepared to dance and sing with the Cabs. The Three Caballeros represent one of my favorite aspects of this fandom. The characters are a little more obscure, but instantly recognizable. The movies are the closest thing we have to cult classics in the fandom, and the characters are loved by all. Whether it’s watching the movie, riding the attraction in Epcot, reading a comic, or watching DuckTales the Three Caballeros always deliver a fun experience. 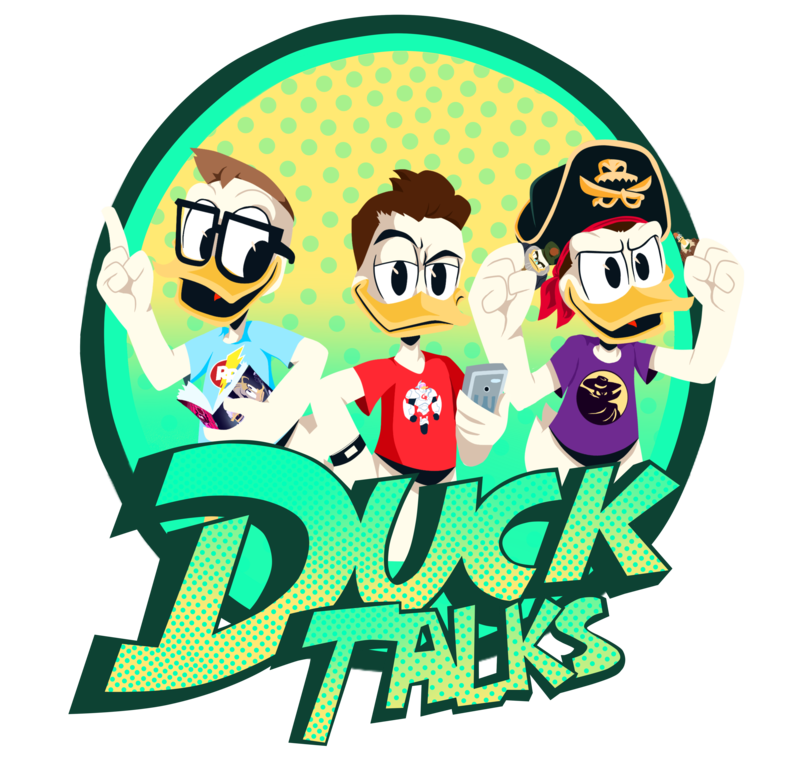 Previous DuckTalks Episode #049 – Saludos Buttercup! Next “Storkules In Duckburg!” Teaser Online!